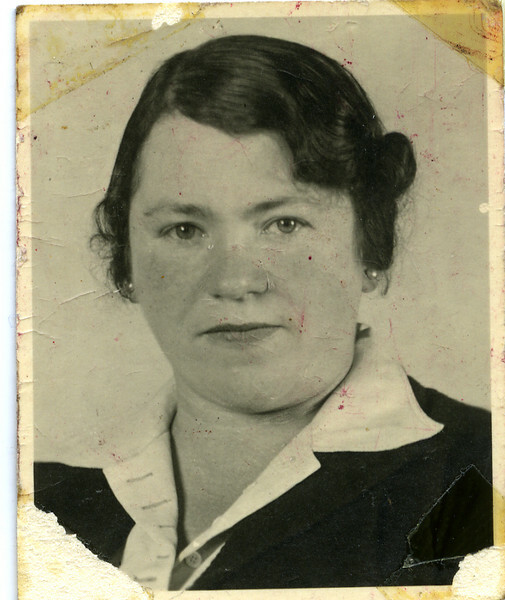 RS022 | | Selma Adler 1900-1982 (unrestored), photo dated 1938. This is an example of the enormity of the task. Comparatively speaking, this photograph is in relatively "good" condition. By that I mean, the features of the face are distinct and the damage is such that restoration is not that difficult. The next frame contains this photograph restored.